Motum – Your Comfort, Your Mobility, Your Life. Our passion is in helping people live the life they want to live, to the best of their capabilities. 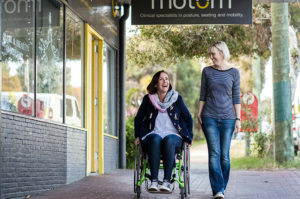 The Motum team is backed by more than 35 years’ hands-on experience in supporting people with a broad range of seating and mobility needs. Put simply, we’re therapists, not sales people. Not only do we know our product range inside out (we hand-picked them after all), we also know what’s going to work best for an individual’s circumstances and how to make them the right fit. We love a challenge and we love seeing people ‘on the move’ – so put us to the test. in clever equipment that helps people of all ages live the life they want to live. We stock more than 30 different styles of wheelchairs as well as a range of indoor seating systems, bathroom aids and accessories. We also offer a selection of strollers, car seats, walkers and standing frames. Each of these products was carefully selected because we felt they were outstanding in terms of responsiveness, adaptability, build quality or value for money – and often all four! We stock an extensive range of clever seating and mobility equipment for adults, from walking frames and comfort seating through to sports wheelchairs and handbikes. We know kids need to move – and we’ve got the equipment to help them do just that. 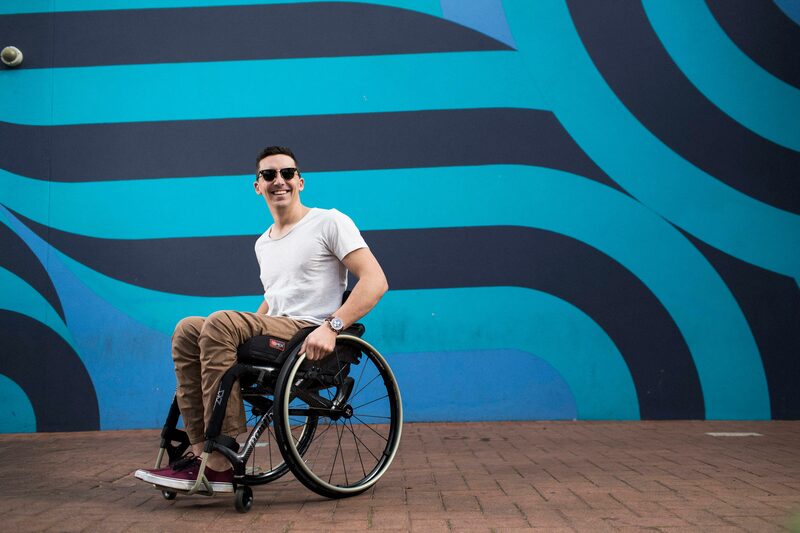 We know that choosing a new wheelchair, seating system or walking frame for example is nowhere near as simple a shopping for a new shirt or pair of pants. In fact, we think it’s much closer to choosing a car (and yes – we offer ‘test drives’ on a lot of our products!) so we’ve put together some tips and suggestions. Please contact us to find out more. Click here to read more about how we can help. Sure we have a great range of clever products, but we’re more than that – we’re a one-stop-shop for clinical expertise. We’ve prescribed thousands of wheelchairs and seating aids, implemented thoughtful changes to home, work and school environments to help people achieve greater independence and know how tap into the latest technologies to get the positive outcomes. Click here to read more about our services. There’s plenty of on-site parking available.